Finding hot sales leads looking for commercial real estate can be a hard task for any salesperson. There are many options available to you such as social media engagement, cold calling and referrals. Another way to find hot sales leads looking for commercial real estate is by looking in your own email list. 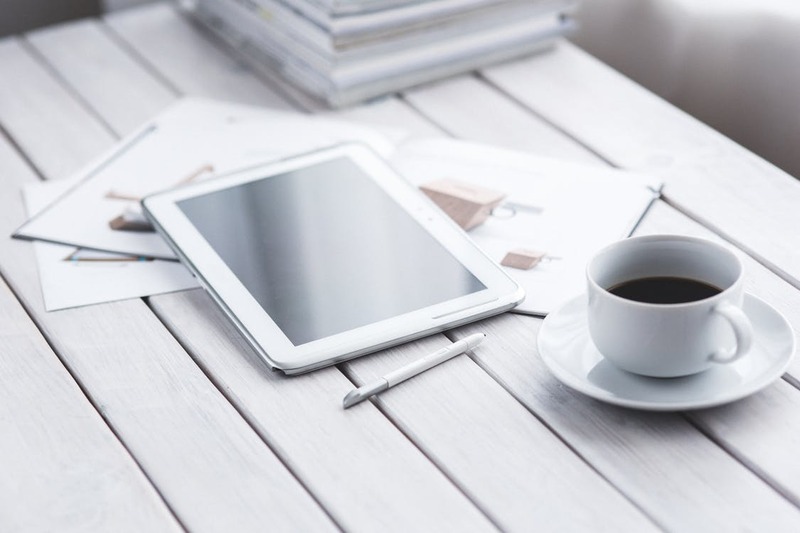 You may already be emailing your list or commercial real estate tenants and building owners regularly with useful information and content. But you can’t be sure who is actively looking to use your commercial real estate services because they don’t email you back. How do you identify hot CRE leads from the rest of your list? Most email marketing programs have a relatively simple way to sort by engagement. With this information, you will be able to narrow down your subscribers who are actively seeking the information about your commercial real estate services, which then translates to hot sales leads for CRE. For this example, we will be using MailChimp’s Star Rating system. 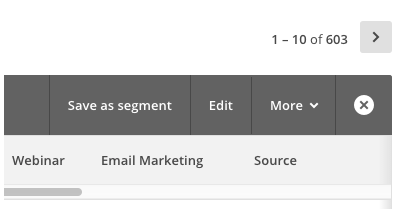 Step 1: Select the list of subscribers you’d like to work with, then click Create A Segment. 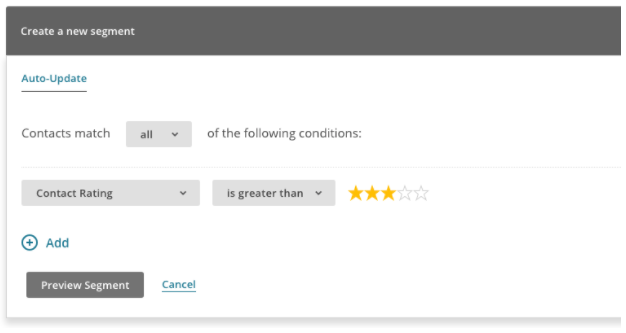 Step 2: Set the Subscriber Data to ‘Contact Rating’, then ‘is greater than’ and ‘3 stars’. Tip: If you have a very large email list, you can set the star rating higher to find hot sales leads most effectively. Step 3: Preview the Segment. 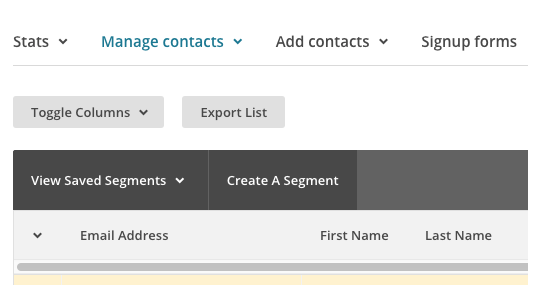 Step 4: Save the Segment so you can send Campaigns to this segment only. Step 5: Send an Email Campaign or lob phone calls to your new segment of engaged, hot sales leads!